Published on July 24, 2012 in Channel 4 and Videos: Promos. 0 Comments Tags: channel 4, olympics, paralympics. Broadcast concurrently across 78 different UK television channels last week “Meet the Superhumans” is a 90 second film produced as part of Channel 4’s campaign to promote their coverage of the London 2012 Paralympic Games. 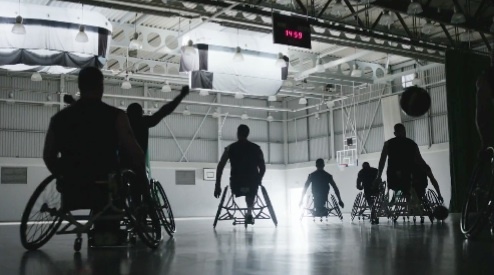 Accompanied by ‘Harder Than You Think‘ from Public Enemy, it’s a spectacular piece of work from 4Creative and a powerful introduction to the Paralympics.